web address on several of my old pins. The Heart Scroll Card was one of my first pins from a few years ago and I thought I’d share again. 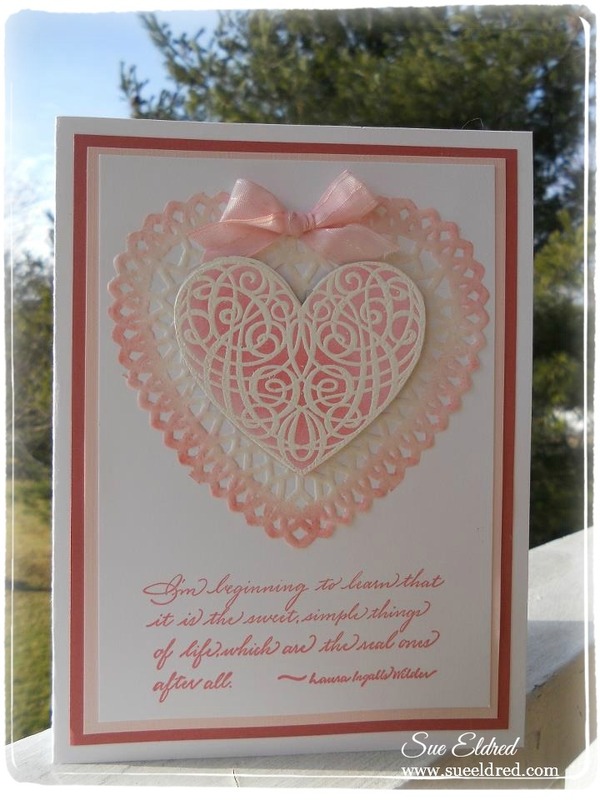 The card uses the Heart Scroll Stamp from Serendipity Stamps. with pink ink. Simple and Elegant. Serendipity Stamps also has a thin metal die that matches the heart stamp. If you’re a stamper and you’ve never checked out their stamps and dies you really should. A great company to work with. www.serendipitystamps.com.